Graham’s successful and highly rewarding career in Business Development and Sales Leadership spanning over 20 years has provided him with a wealth of experience in what does and does not produce measurable results in the real world. 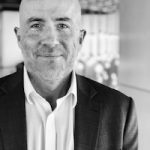 Graham has spent the last 14 years specialising in helping organisations diagnose the specific skill, behavioural and attitudinal gaps that restrict sustainable high performance. He also works closely with businesses to design and roll out powerful change programmes that deliver swift and measurable results. Graham combines his passion for all aspects of business development, sales psychology and training with a powerful ability to coach and inspire people to step outside of their comfort zone to reach their true potential whilst having a fair amount of fun!